Emily is a project manager in Auerbach Pollock Friedlander’s San Francisco office. 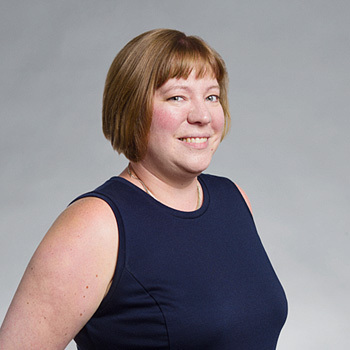 She joined the firm in 2011, bringing hands-on experience as a theater professional to her work on a wide range of projects, assisting on the design of performing arts venues, theatrical systems and documentation. Prior to joining the firm, Emily received her master’s degree at the University of Illinois and completed an internship with another prominent theater consulting firm. Before attending graduate school, she spent four years as the technical director for the theatre program at Iowa State University and worked in various local venues as a stagehand on touring shows. Prior to this she was the assistant technical director at Simpson College in Iowa. Emily has also spent summers working as a scenic carpenter with the American Players Theatre in Wisconsin and the Des Moines Metro Opera.